Qport® Access lets Windows users run queries built with NGS-IQ™ – NGS’ integrated query, reporting, and business intelligence solution – and securely and efficiently deliver results directly to their favorite Windows applications. This easy, simple approach greatly enhances staff productivity. 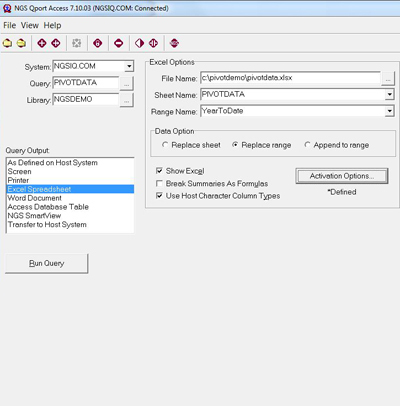 Qport Access transfers your query result to your target application. You can send results directly into Microsoft Excel, Access, and Word as well as to SmartView™ (NGS-IQ’s OLAP module), your Windows display, printer, and more. No middleware is required and your queries run as IBM i batch jobs. Qport Access lets you extend database access to your authorized customers, business partners, and vendors as well as to your remote sites and traveling users. 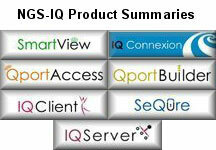 Authorized users can run NGS-IQ queries from anywhere. 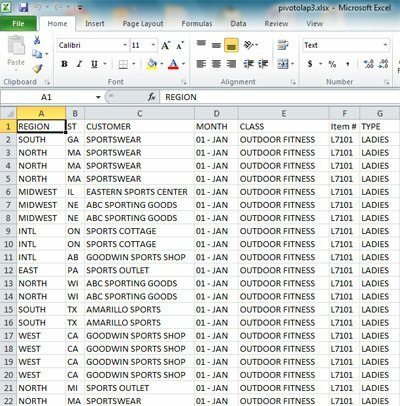 When sending reports to Excel, Qport Access users can specify the workbook, sheet, and named range where they want the data delivered. 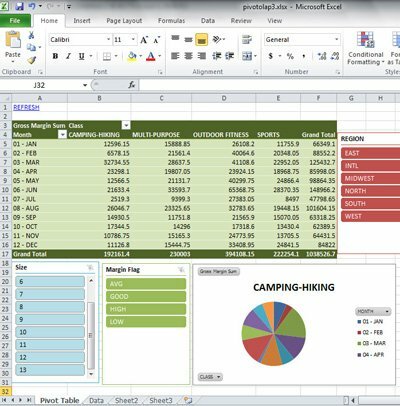 You can create, replace, and append to Excel as often as desired. Formatting is preserved along with expressions and other functions contained in the sheet to maximize productivity. This enhanced functionality extends to Excel pivot tables, allowing you to create and design your tables with charts, filters, and slicers that can be saved and refreshed as needed when the query is rerun. Every time you change a variable, such as a new record selection for a date range, your pivot table will be updated automatically. You can instruct Qport Access to automatically convert your summaries and calculated fields into formulas and even load the data into one sheet and then display another when the report is done. You might use this capability to automatically update and display a chart based on your query output. If you establish live links between your Excel data and other files such as PowerPoint presentations, these other files will update each time you use Qport Access to refresh the Excel sheet. If you have fields like product numbers, account numbers, or others that begin with one or more zeros, you’ll appreciate how Qport Access lets you tell Excel to treat these fields as character fields and not truncate leading zeros when loading the data into your worksheet. Qport Access does not restrict your users to the simple reporting found in most competing products since all the advanced functionality of IQ Server™ is harnessed on IBM i. You can run sophisticated reports with complex record selection criteria, conditional calculations and summary level new fields, extensive formatting, file joins, links to remote databases, and other powerful functions without confusing users. Qport Access prompts users at run time for new field calculation formulas and one-time record selection criteria. This flexibility allows users to change discount formulas, date ranges, customer names, item numbers, etc., without revising the query. Qport Access also allows you to link NGS-IQ queries together to run in a series which can still include run-time prompts at each link. Users can tell Qport Access where they want their results sent each time they run the query, so different users who run the same query are not limited to viewing the results in the same format. For example, a query might be output to display or to a printer one time and to Excel or SmartView the next. You probably have accountants creating budgets in Excel, at least one department running an important Windows application on your network, a Web server where Web site traffic data is captured, data obtained from credit reporting, government, or third-party market intelligence vendors, or bid specifications generated outside the DB2 environment by your salespeople. This data is too valuable not to use, so Qport Access allows authorized users to transfer these files into DB2 where they can be joined with the rest of your enterprise data to produce more meaningful reports and analysis. You identify the data source, tell Qport Access the name of the DB2 file and library where you want the data loaded, and which fields to transfer. You can assign attributes such as length, type, and column heading for each selected field, so data loads accurately – whether you are creating, replacing, or appending to a file. The “Transfer to Host” option dramatically simplifies copying data from your PC to DB2 on i.
NGS offers the module known as IQ Connexion™ for higher volume, real-time, remote data access to Microsoft SQL Server, Oracle, MySQL, PostgreSQL, and DB2. Qport Access performs in strict compliance with your IBM i security. You can control who can use Qport Access to download or upload data. Unless authorized on both IBM i and the specific desktop, the “Transfer to Host” option does not appear on the user’s Qport Access menu. The separately licensed IQ SeQure™ module can provide further control over the use of this option by letting you limit Qport Access uploads to specified libraries and identify which users can work with those libraries. NGS-IQ customers depend on Qport Access enterprise-wide to meet the diverse reporting needs of their business analysts, users, and managers. Qport Access delivers daily production reports, monthly sales analysis, quarterly P&L statements, and ad-hoc queries with ease, so users can meet departmental and company objectives. NGS-IQ, IQ Server, IQ SeQure, Qport Access, IQ Connexion, and SmartView are trademarks of New Generation Software, Inc. All other trademarks are the property of their respective owners.